For large orders – the Flower Mailshot. Have you ever wished you could surprise your customers or employees with flowers to mark the start of spring or for Christmas? Fleurop has the solution, and its name is "Flower Mailshot". 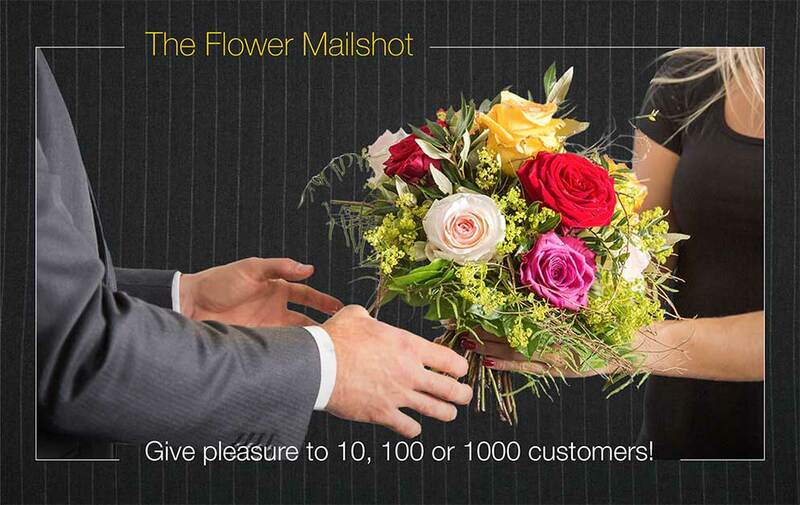 Whether for 10, 100 or 1000 customers and employees, Fleurop's Flower Mailshot is the most personal way to deliver a thank you in style. Please fill in the following form so that we can provide you with a comprehensive offer. Thank you in advance for your interest in the Fleurop Flower Mailing service! How do you want us to deliver the floral gifts? Delivery to individual business or private addresses (according to your Excel address list)? What would you like us to enclose with the floral gifts?